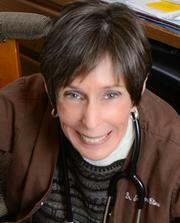 The Village Veterinary Clinic was founded in 1995 by Dr. Suzanne Cliver. The clinic has a smart, friendly, and caring staff that is available to help you and your pets. The doctors and technicians regularly attend continuing education classes and stay current on traditional surgical and medical procedures as well as emerging new fields. We will also work with you to seek alternative treatments when appropriate. The doctors and staff are committed to spending time with you and your pet to try to arrive at a correct diagnosis so we can proceed with a treatment plan that meets your expectations. We have a very good working relationship with the many board-certified veterinary specialists in the Northern Virginia area to offer you the referral services your pet may require. We enjoy the excellent relationships and many friendships we have developed in the community over the last 19 years. We have a big circle of friends, and we always welcome more. Dr. Suzanne Cliver founded the Village Veterinary Clinic in Warrenton in 1995. Dr.Cliver graduated from Tuskegee University School of Veterinary Medicine in 1978 and went on to complete a one-year internship in Small Animal Medicine and Surgery at the University of Illinois Veterinary School. 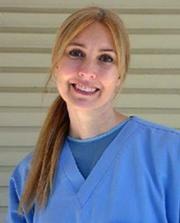 She practiced at Reston Animal Hospital for 14 years, following one and a half years at the Vienna Emergency Clinic. Dr. Cliver has lived in Fauquier County for 30 years. She arrived at the decision to open her own practice in Warrenton to be closer to her then recently adopted children who were attending Fauquier public school. Two of her grown children live in Virginia, and her older daughter and twin granddaughters reside in Kenya. She has hosted four high school students from four different countries. Dr. Cliver loves travel and the opportunity to learn and appreciate other cultures. She has served as Chair of the Outreach Committee at Leeds Episcopal Church in Markham and has gone on mission trips to Haiti and Pine Ridge Indian Reservation in South Dakota. She and her younger daughter also spent two weeks at a girl's home in Honduras learning Spanish and making new friends with the girls. Dr. Cliver currently helps to support the educational expenses of two girls who live in Guatemala and Honduras through Episcopalian Outreach programs. In addition, she went with other local volunteers to an HSUS shelter for animals rescued from Hurricane Katrina. Dr. Cliver is proud of her staff for helping her create and carry out her dream of having a veterinary practice which practices quality medicine and reaches out to the the community to provide a compassionate and concerned environment for pets and their owners. Rosiland Russell-Arrington, a Fauquier County native, started at a young age loving and caring for chickens, dogs, and cattle; while, in her spare time, earning a 2nd degree black belt in Tae Kwan Do under Master Ron Jenkins. Her love for animals brought her to the start of her career at The Village Veterinary Clinic in 1999; leading her even further to No. Virginia Community College where she became a Licensed Veterinary Technician (LVT) in 2002. Rosiland has committed herself to the clients and patients of The Village Veterinary Clinic both as a LVT and the hospital manager. She still has her chickens and dogs and now has added two cats. Rosiland is the devoted mother of her two wonderful children and her two special step sons. She and her husband, Gary, also own an automotive service/repair business here in the area as well. She believes in staying busy! 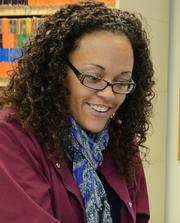 Katrina Tomlinson, a Virginian for most of her life, became a Licensed Veterinary Technician in 1991. She joined the team at The Village Veterinary Clinic in 2004. Katrina appreciates working at a hospital that does not do cosmetic or convenience surgeries on its patients; allowing the focus to be placed on medical needs and wellness issues only. She truly enjoys working with the animals and their people and being involved in client education about the most beneficial and humane treatments available. When not working, Katrina likes to spend time with her husband and their dogs, cats, and horses.